The International Conference on Hydrogen Production (ICH2P-2019) is a multi–disciplinary international conference on the production of hydrogen through various thermal, chemical, biological and other methods, as well as its use in various systems, including fuel cells. It will provide a forum for the exchange of latest advances and technical information, dissemination of new research developments in the areas of hydrogen production and usage, and debate involving the future directions and priorities in the hydrogen economy for a sustainable future. The conference will have particular value and interest to researchers, scientists, engineers and practitioners who are working in the field of hydrogen production technologies, ranging from policy making and technical development to management and marketing. There will be a particular emphasis placed on thermochemical and nuclear-based hydrogen production. Ibrahim Dincer is a full professor of Mechanical Engineering at UOIT. Renowned for his pioneering works in the area of sustainable energy technologies he has authored/co-authored numerous books and book chapters, and many refereed journal and conference papers. 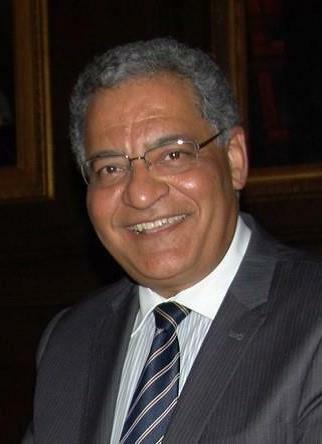 He has chaired many national and international conferences, symposia, workshops and technical meetings. He has delivered many keynote and invited lectures. He is an active member of various international scientific organizations and societies, and serves as editor-in-chief, associate editor, regional editor, and editorial board member on various prestigious international journals. He is a recipient of several research, teaching and service awards, including the Premier's research excellence award in Ontario, Canada. During the past five years he has recently been recognized by Thomson Reuters as one of the Most Influential Scientific Minds in Engineering and one of the Most Highly Cited Researchers. 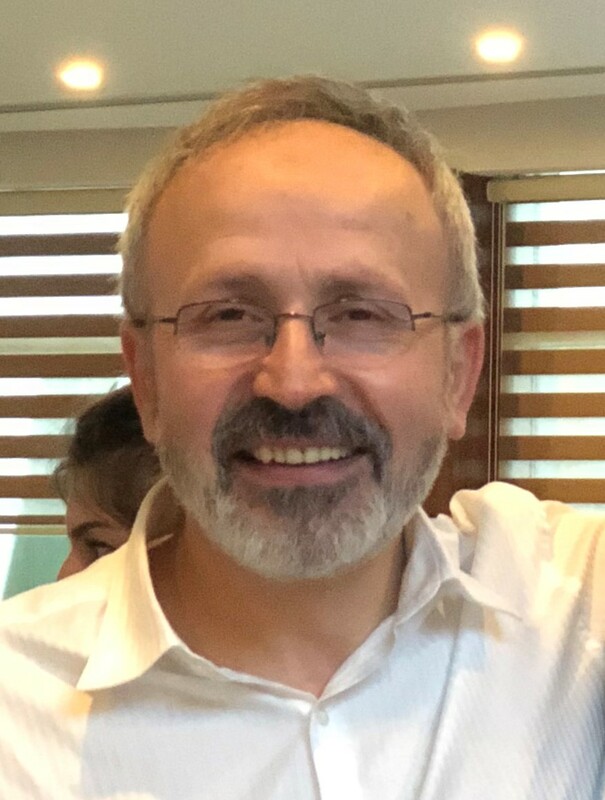 Yunus Çengel is Professor Emeritus at the University of Nevada, Reno, USA and the founding dean of the Faculty of Engineering at Adnan Menderes University in Aydin, Turkey. He received his Ph. D. in Mechanical Engineering from North Carolina State University in USA. 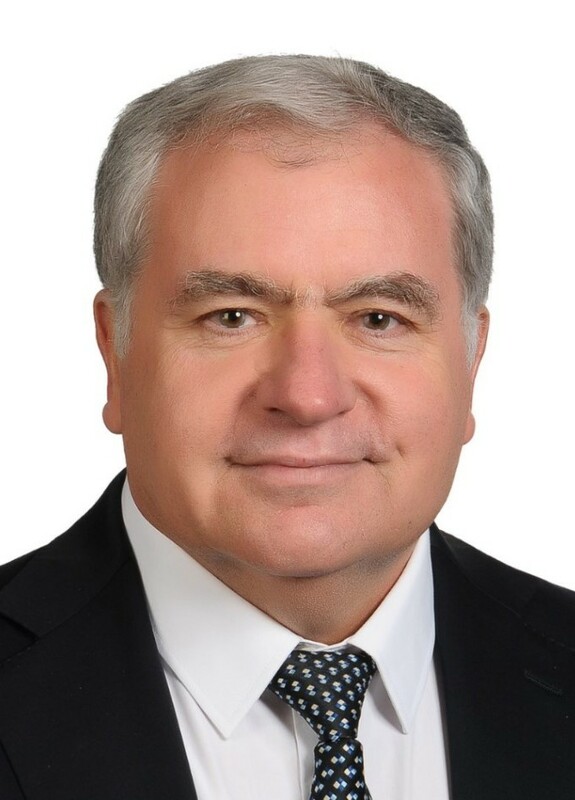 Before joining ADU in 2012, he held the position of the Dean of the Faculty of Mechanical Engineering at Yildiz Technical University YTU and as Advisor to President at Scientific and Technological Research Council TUBITAK on international cooperation. Professor Cengel served as the assistant director and director of the Industrial Assessment Center at UNR for eight years. He also served as the advisor to several government organizations and private companies on energy efficiency, energy policies, and education reform. Professor Çengel is the author or coauthor of the widely adopted textbooks Thermodynamics: An Engineering Approach, Fundamentals of Thermal-Fluid Sciences, Heat and Mass Transfer: Fundamentals and Applications, Fluid Mechanics: Fundamentals and Applications and Differential Equations for Scientists and Engineers all published by McGraw-Hill. Some of his textbooks have been translated into Chinese, Japanese, Korean, Thai, Spanish, Portuguese, Turkish, Italian, Greek, and French. He is the recipient of several outstanding teacher awards, and he has received the ASEE Meriam/Wiley Distinguished Author Award twice. He is a registered Professional Engineer in the State of Nevada, USA. Dr. Gabriel holds a Ph.D. in Mechanical and Industrial Engineering from the University of Manitoba, Canada, and an MBA from the Edwards School of Business in Saskatoon. He is the founding Associate Provost of Research and Graduate Programs at the University of Ontario Institute of Technology which is now ranked in the top 25 innovation-driven universities in Canada. In 2009, Dr. Gabriel was invited to join the Ontario Ministry of Research and Innovation as the Assistant Deputy Minister of Research and its first ever Science Adviser. During his secondement, Dr. Gabriel provided the Ministry with sound advice and oversaw research activities in the 50+ universities and colleges in Ontario. He also established the Innovation Policy Unit to advise the government on a wide range of R&D related policies. Dr. Gabriel is the author of the Anatomy of Innovation book which is now translated to French and Chinese. He is a frequent speaker at national and international conferences on the subjects of clean energy and innovation. 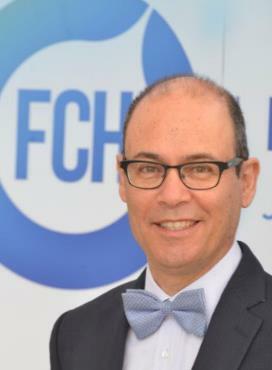 Dr. N. Lymperopoulos is a Project Officer at the Fuel Cells and Hydrogen Joint Undertaking (FCH JU). He is a Mechanical Engineer actively involved in the field of energy and the environment for more than 30 years. 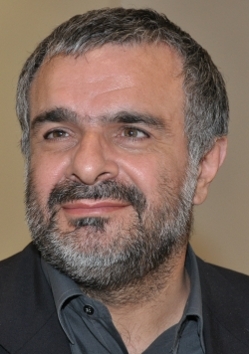 For the last 18 years, he has been working on Hydrogen energy technologies, initially leading a section at the Greek national Centre for Renewable Energy Sources and then as Director for Projects at the UNIDO International Centre for Hydrogen Energy Technologies in Istanbul that addressed Developing World Countries. In 2013 he joined the FCH JU putting his experience to good use in supporting European R&D in sustainable Hydrogen production including Energy Storage and Sectoral Integration through Hydrogen. Born in Carrara (Italy), 29 Dec. 1959. Graduated (Mechanical Engineering, thesis: Preliminary design of a plant for biophotoproduction of hydrogen) in 1984, University of Pisa. PhD (Energetics, thesis: The use of Molten Carbonate Fuel Cells in large powerplants) in 1988, University of Pisa. Associate Professor at University of Cassino and Southern Lazio (Italy) in the field of Systems for energy and environment. 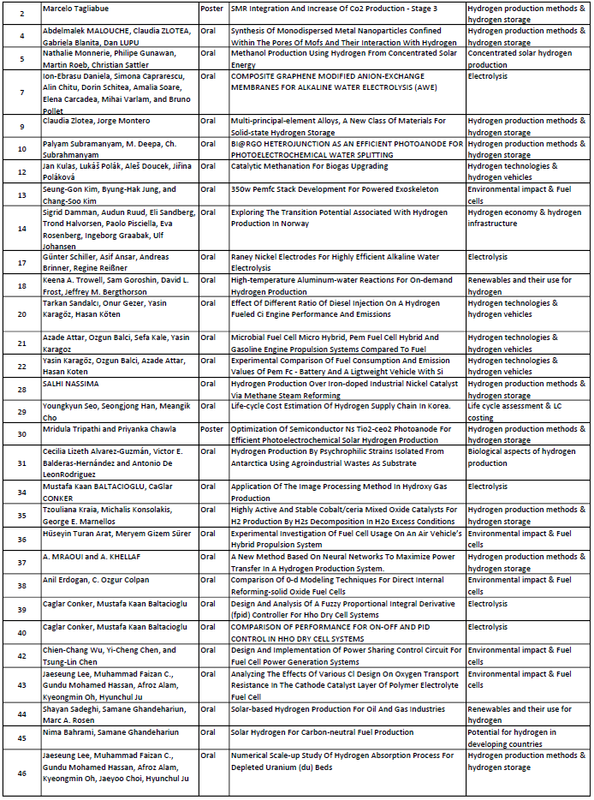 Author of more than 80 scientific papers the most of which related to hydrogen energy systems and fuel cell systems. Co-author with Prof. Bent Sørensen of “Hydrogen and Fuel Cells - Emerging Technologies and Applications” (Third Edition), Academic Press, March 2018. Owner of 4 Italian patents. Invited speaker at several Italian and international conferences and round tables related to the hydrogen energy sector. Scientific coordinator of some research activities financed by ENEA, ENEL, APAT, Italian Ministry of Research. Reviewer for International Journal of Hydrogen Energy since 1989 and subsequently also for other international journals and conferences. 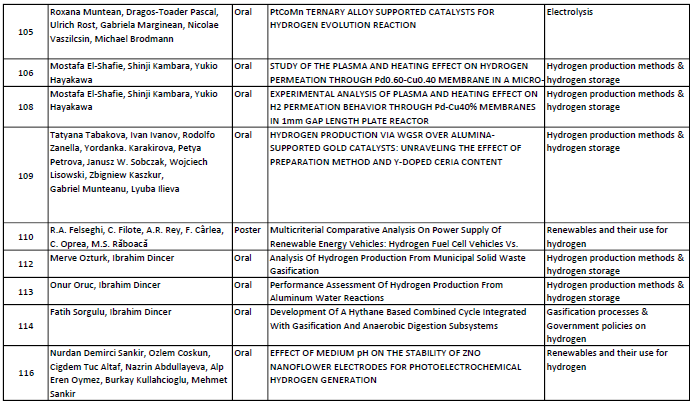 Guest editor of some Special Issues of the International Journal of Hydrogen Energy. Member of Scientific Committees of several Italian and international conferences and chairman of technical sessions. Coordinator of HYPOTHESIS (HYdrogen POwer THeoretical and Engineering Solution International Simposium) series and chairman of its Scientific Committee. Founder and secretary of Italian Hydrogen Forum since its creation in 1997, then president of the Forum and actually member of the Board. Member of the Board of Directors of the International Association for Hydrogen Energy since 1999. President of IAHE Hydrogen Energy Systems Division IAHE Rudolph A. Erren Award. 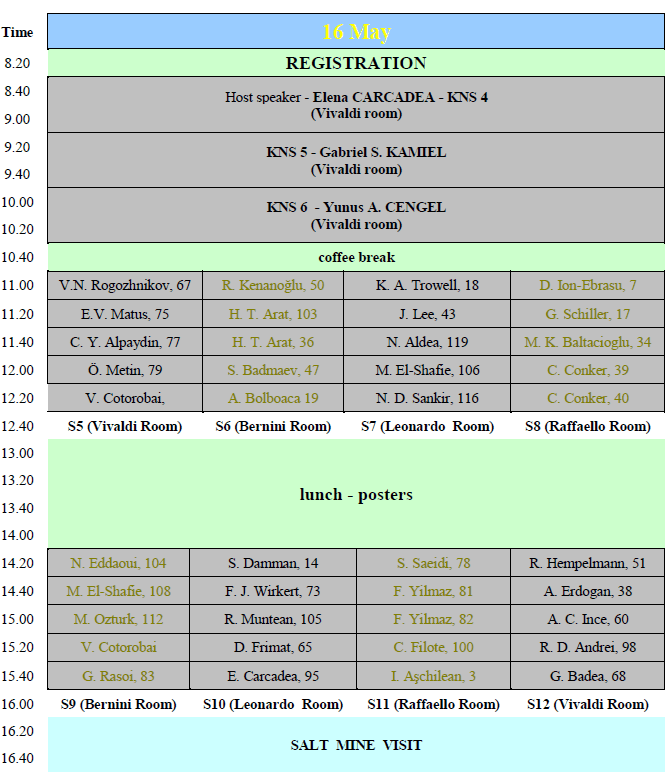 The conference will be held at the Grand Hotel Italia, http://www.grandhotelitaliacluj.ro/, in Cluj-Napoca, Romania. 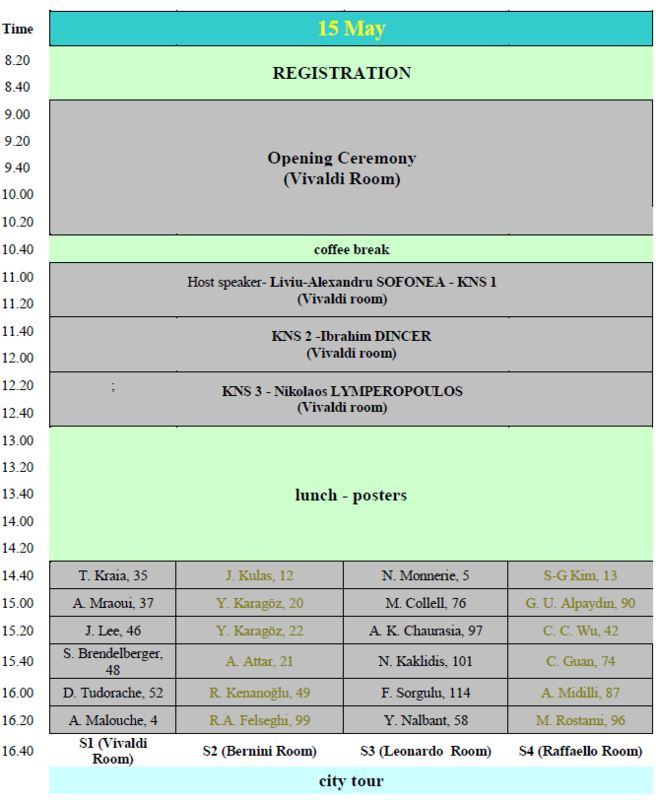 ICH2P-2019 together with SME-2019 is organized by: AIIR - Transylvania-Cluj Branch, ICSI Rm. Valcea and the Romanian Association for Hydrogen Energy. 38th Modern Science and Energy Conference, SME 2019. The MODERN SCIENCE AND ENERGY Conference has been organized since 1981 in the idea of being a multidisciplinary platform for the exchange of ideas between academics, researchers and engineers working in energy-related companies operating throughout the chain of production, storage, transport and use. The interest raised by the specialists in the subject, energy as a global problem of humanity, in line with environmental protection, led to the decision to organize this conference every year, without interruption, from 1981 until 2019. Energy in the Universe; solar energy; wind energy; geothermal energy; hydropower; nuclear energy; other sources of energy (chemical, osmotic, seismic, gravitational); energies of biological origin; energy carriers (hydrogen, alcohols, ammonia); new technologies to increase the degree of extraction of fossil fuels; gasification and liquefaction of coal, magneto-hydrodynamic, electrochemical, photoelectric and thermoelectric conversions; studies of natural energy mechanisms - photosynthesis, metabolic processes. Advanced technologies for the transmission, distribution and use of electric and thermal energy; modern energy-efficient technological processes; energy storage in natural and artificial environments; pumps and heat recovery facilities; capitalization of industrial, agricultural, forestry and domestic by-products for energy purposes; political and economic and social aspects of energy. This year, 2019, on May 15th -17th will take place the 2019 MODERN SCIENCE AND ENERGY International Conference, venue in Cluj-Napoca, Romania, 38th edition. The importance of both hydrogen energy and research has led to the organisation of the 10th Edition of the INTERNATIONAL CONFERENCE ON HYDORGEN PRODUCTION and the 3rd Edition of the INTERNATIONAL CONFERENCE ON RESEARCH, INNOVATION AND COMMERCIALISATION, ICRIC-19, under the dome of this edition of the MODERN SCIENCE AND ENERGY International Conference. 3rd International Conference on Research, Innovation and Commercialisation, ICRIC-19. The ICRIC-19 is a multi-disciplinary international conference on research, innovation and commercialization and will provide a forum for the exchange of the latest technical information, the dissemination of the high-quality results on these issues, the presentation of the new developments and methodologies in these areas, and the debate and shaping of future directions and priorities for better industrial, environmental, energetic and economic sustainability as well as sustainable development for global security. The primary themes of the conference are research, innovation and commercialization not only in engineering and science but also in all other disciplines (e.g. ecology, education, social science, economics, management, medical sciences, political sciences, and information technology). 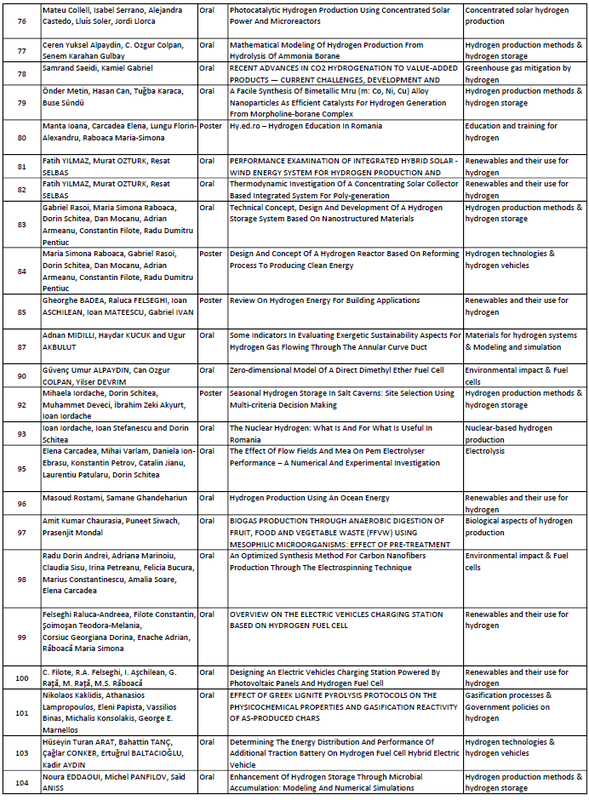 Therefore, papers on related topics are solicited from all relevant disciplinary areas, ranging from current problems, projections, new concepts, new technologies, new methodologies, modelling, experiments, innovation, commercialization, and measurements, to simulations. FORMAT: The format of the ICRIC-19 will be arranged with the following major elements as general papers presented in oral and poster sessions, keynote papers with invited speakers, and panel discussion and specialized sessions on special topics. There will also be co-located events referring to science and energy, social events and conference tours. High quality papers of archival value will be considered in extended form for publication in various reputable international journals. SUBMISSION: Initial screening will be based on the abstracts, and the authors should submit their abstracts (max. 2000 chars) through ICH2P-2019 website only, www.ich2p.org . The authors will select ICRIC-19 topic in the submission section. The abstract should contain the title, names of authors and affiliations. The authors of the papers selected for publication in the conference support journals will be notified by email. Situated in central-north-western Romania, in the center of Transylvania, Cluj-Napoca is a dynamic and vibrant city. The ancient capital of Dacia Porolissensis, Cluj–Napoca was recorded for the first time by the Greek geographer Claudius Ptolemy (AD 85 - 165) some two thousand years ago. It became a municipality during the reign of Emperor Hadrian (AD 117 – 138) under the name of Municipium Aelium Hadrianum Napoca and later to a colony, around AD 180 under Marcus Aurelius or Commodus. Today, the Municipality of Cluj-Napoca is the spiritual and economic capital of Transylvania as well as an influential academic and medical center; the heart of multiculturalism and diversity, Cluj-Napoca is the city where the past, present and future have toiled identity and local specificities. 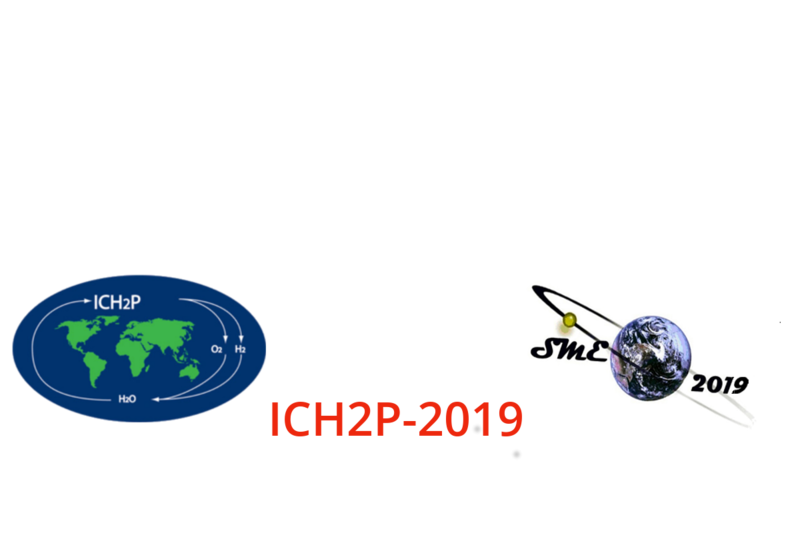 The papers accepted and presented at the ICH2P-2019 will be published in a book of abstracts, with ISBN. High quality papers of archival value will be considered in extended form for publication in various reputable international journals such as the International Journal of Energy Research (IF 3.009) and International Journal of Hydrogen Energy (IF 4.229). ICRIC-2019 Supporting Journal: International Journal of Research, Innovation and Commercialisation (IJRIC), ISSN print 2051-9931. Abstract Submission: deadline February 17, 2019, one-page abstract due, through website, characters (with space) maxim 2000. 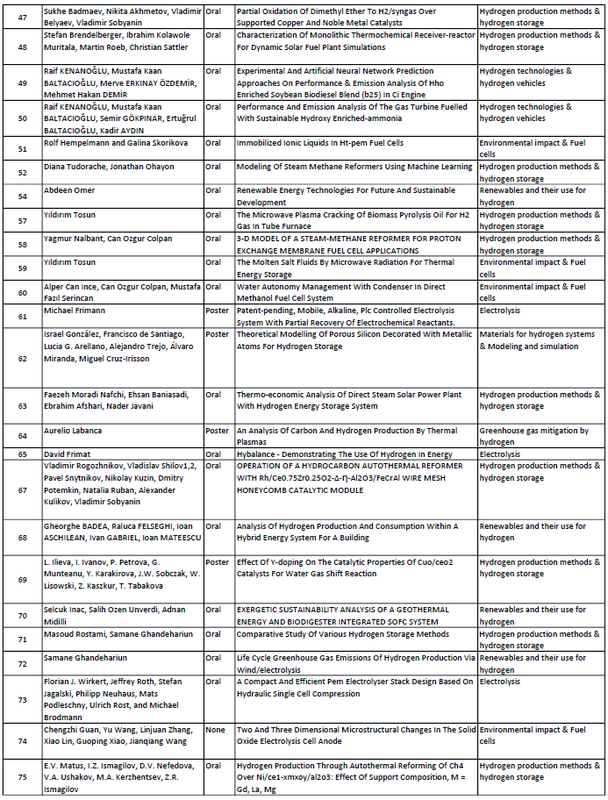 Notification of abstract acceptance, abstracts will be checked for the conference scope and contributions. Authors will be notified with acceptance message and details on how to proceed with final papers. Notification of paper acceptance, after the review is done authors will be notified with the results. In the case of acceptance, authors will be invited to submit final paper version that will be included in the conference proceedings. Registration, once steps 1-3 are completed, authors registration for the conference is needed. The participants will be asked to complete the registration forms. Avram Iancu Cluj International Airport (IATA: CLJ, ICAO: LRCL) is an airport serving the city of Cluj-Napoca. It is located 9 km (5.6 mi) east of the city centre. The airport is named in honour of Romanian revolutionary Avram Iancu. www.airportcluj.ro . Citizens of some countries need an entry visa for Romania. You can find out online whether you need a visa to visit Romania. For this information, please visit: https://www.mae.ro/en/node/2035 or www.mae.ro/en and chose Visas section. ICH2P-2019 and SME 2019 invitation letters can be issued only to speakers, presenters or committee members. In order to provide registration fees must be paid in advance. Letters will only be sent by email, postal mail or fax and only to the individual registered for the conference. To obtain our invitation letter you must provide us with guaranties to cover travel and other potential costs during your stay in Romania. The conference will be held at the Grand Hotel Italia, a number of other hotels recommendations will be available as soon as. The organizers have reserved at a special price, a number of rooms for participants at the hotel where the conference takes place, see above. For this, we ask participants interested in this offer when booking the room to make the mention: "for SME/ICH2P-2019 event, managed by Mr. Aschilean Ioan". However, the city of Cluj-Napoca has a good accommodation offer at international standards. *Conference web page is designed and maintained by The National Research and Development Institute for Cryogenics and Isotopic Technologies ICSI Rm. Valcea, www.icsi.ro . The name of account holder is in Romanian, the bank request to use this name! Payment is made in Euro equivalent at the date of transfer. The account is in the national currency of Romania. Please mention: (1) Full name of participant and (2) ICH2P 2019 Registration fee. As a prayer and courtesy act, at this moment we would be delighted if we received the abstracts from you using our online Abstract Submission Form.